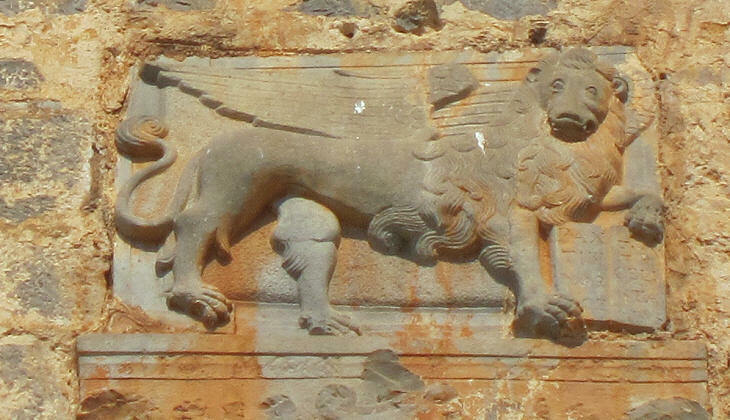 You may wish to read an introduction to the history of Venetian Crete first. It. spina means thorn and more generally a long and narrow thing; this explains the name given to a similarly shaped promontory in the Gulf of Mirabello in the eastern part of Crete. The promontory shelters an inlet at the entrance of which a rocky islet is located. 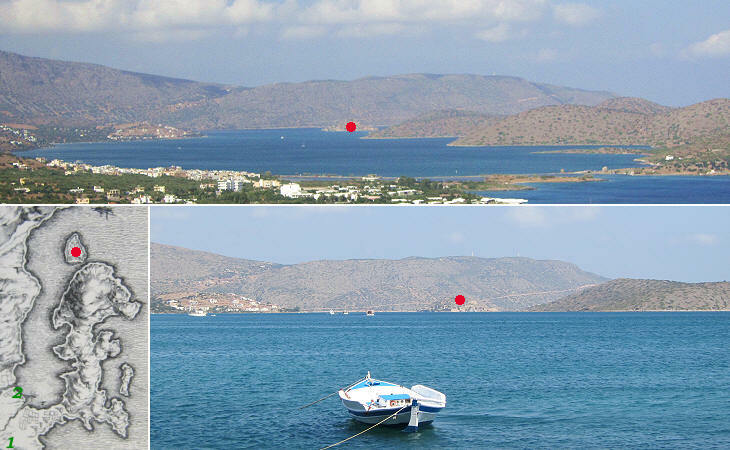 Its position is similar to that of the islet at the entrance of the bay of Souda in the western part of Crete. After the 1571 Ottoman conquest of Cyprus, the Venetians feared that the inlet could be used by the Ottomans for landing on Crete, because its shores are low and sandy. They decided to build a fortress on the islet at its entrance to prevent this occurrence which would have provided the enemy with an excellent natural harbour for the prosecution of the campaign. The key purpose of the fortress was to prevent enemy ships from entering the inlet and two mezzelune (half-moon bastions) were built opposite the mainland. The southern passage was so narrow that Genese Bressani, the Venetian military architect who designed the fortress, did not need to place the Venetian cannon on the very edge of the islet, but in a commanding position near the top of the hill. The northern passage is wider than the southern one and the Venetians needed to place their cannon at the very tip of the islet so that their range could reach all enemy ships trying to enter the inlet. 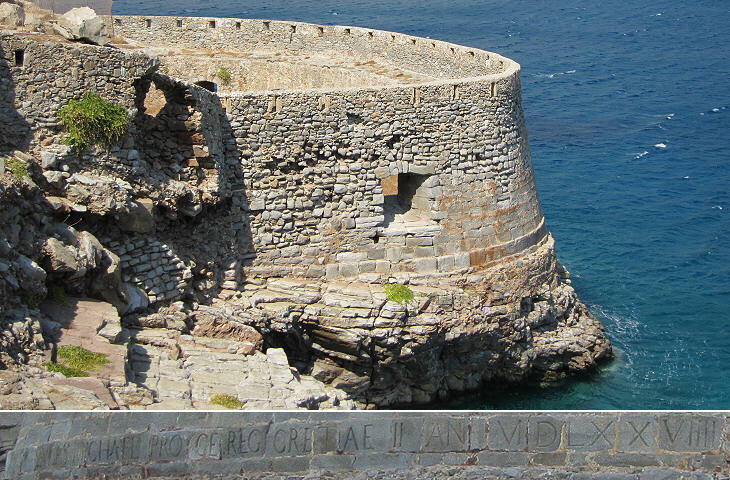 A long inscription in Latin at the foot of the bastion celebrated its construction. 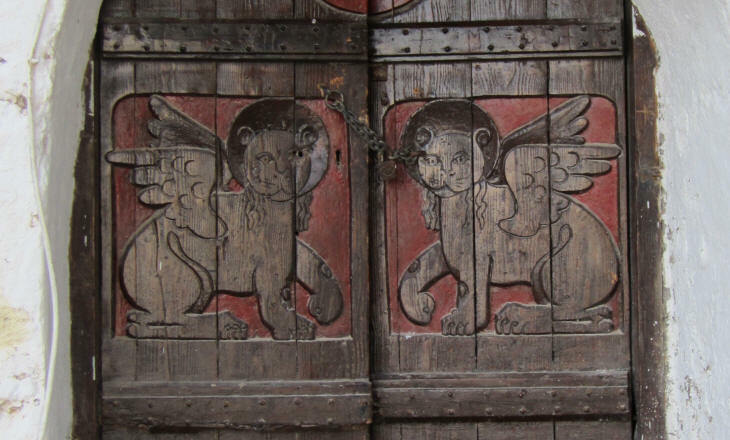 The fortress did not have a proper harbour, but just a short pier where a couple of ships at the most could moor; a large and imposing gate having an inscription on its lintel stood near the landing stage; its size indicates that the Venetians did not fear an attack from inside the inlet. In other Venetian fortifications of the same period, such as the walls of Candia, gates were small and hidden behind a bastion. 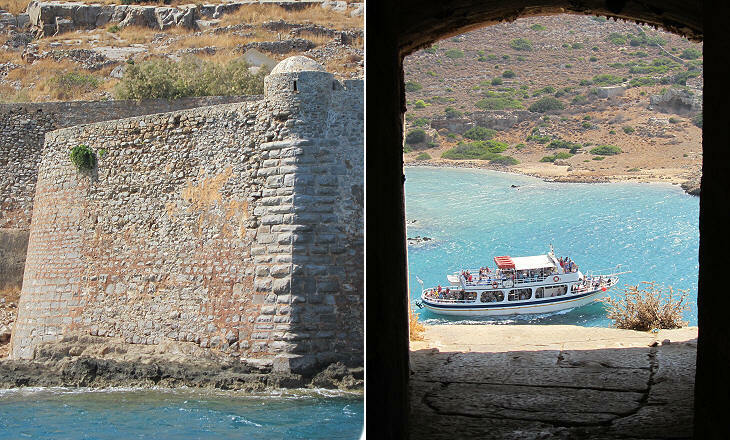 When in 1645 the Ottomans decided to land on Crete they did not put their ships at risk by trying to enter the inlet of Spinalonga. Instead they landed on the western coast of the island. 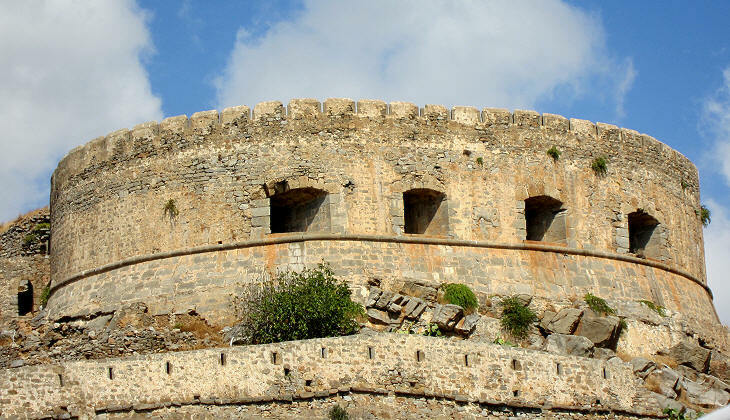 In 1647 they conquered the eastern part of Crete, but they did not attempt to seize Spinalonga. In 1651 they tried to capture the fortress by bribing some officers, but the plot was discovered. Eventually in 1669 the Venetians signed a peace agreement by which they acknowledged the loss of Crete, but they retained Souda, Grambusa, another fortress on an islet, and Spinalonga with the right for Venetian ships to anchor in the inlet. 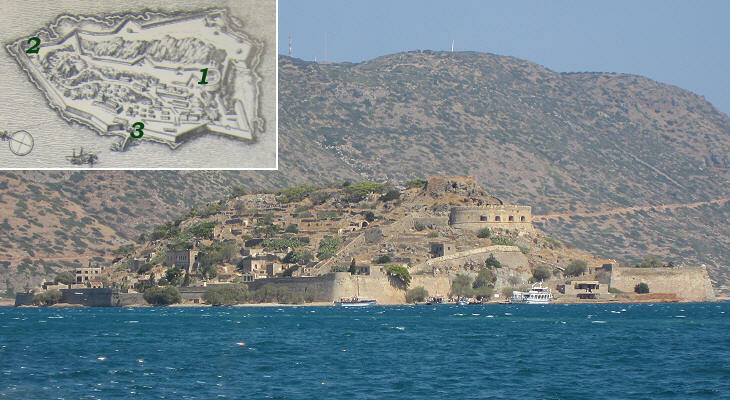 The Venetians retained Spinalonga and the other two fortresses to provide their merchant ships with natural harbours where they could repair in case of storm; a second untold reason was that the fortresses also could be used to try to reconquer the island. The attempt was made during the 1685-99 war, but it was unsuccessful. Gradually Venice lost interest in Spinalonga and when in 1715 the Ottomans blockaded the fortress, Francesco Giustiniani, the commander, sought help in vain and eventually he was forced to surrender. The Peace of Passarowitz in 1718 marked the end of the Venetian presence in the Aegean Sea which came under the total control of the Ottomans. 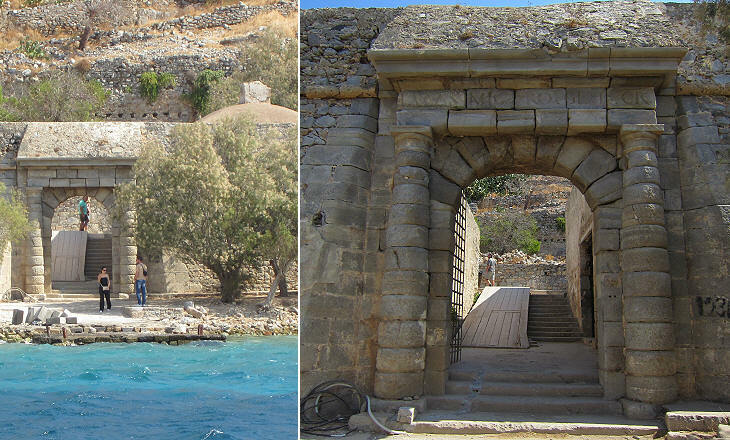 Spinalonga as a fortress lost importance and the new rulers tried to convert it into a trading centre; its inhabitants were Muslim and they built several houses and workshops near the main gate. 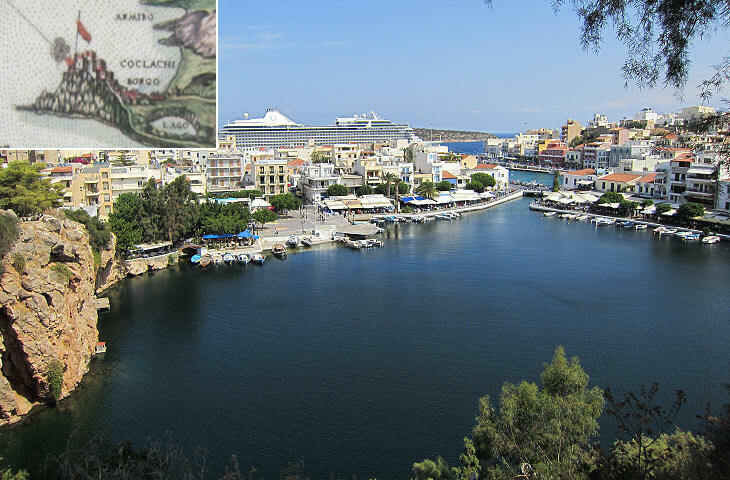 In 1898 Crete became a semi-independent state and in 1903, because of its isolation, the islet was chosen as the site of a leper colony which was active until 1957. 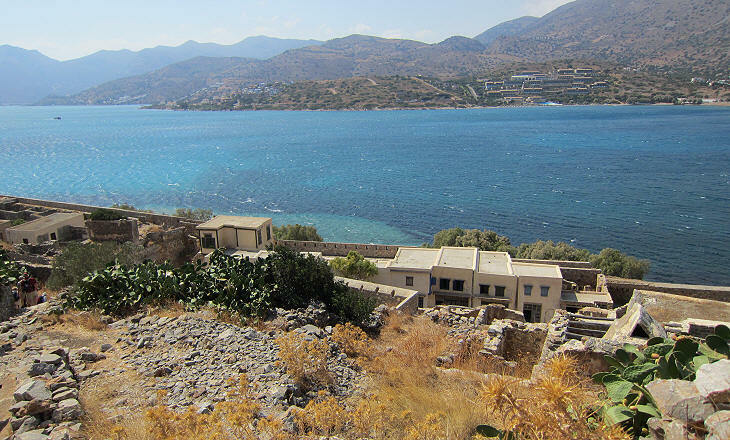 Castel Mirabello is located just a few miles south of Spinalonga; today it is a thriving holiday resort and the largest town of eastern Crete. In 1206 the Genoese built a small castle above the ruins of Kamara, an ancient town on a hill by the sea. Because of its commanding view over a large gulf they called it Mirabello (Fairview). During Venetian rule large quantities of olive oil and salt were shipped from Castel Mirabello. The Ottomans seized the castle in 1647 without much effort; later on the Venetians managed to reconquer it, but because they could not hold onto it, they preferred to blow it up. The site of the former castle is now occupied by modern buildings with the exception of a small archaeological area with a few ruins of Kamara. You may wish to make an excursion to Kritsa, a nearby village surrounded by olive groves which retains some interesting old churches.